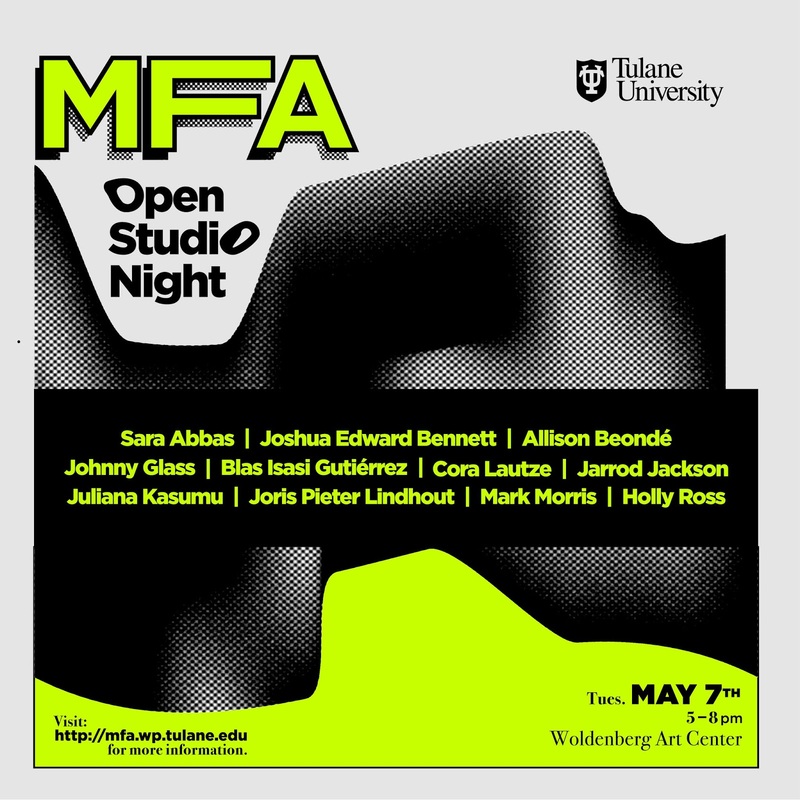 Tulane University Newcomb Art Department will host an MFA Open Studio Night on Tuesday, May 7th from 5 – 8pm in the Woldenberg Art Center. 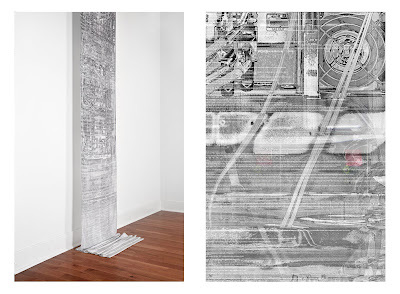 AnnieLaurie Erickson, Assistant Professor of Photography, is currently participating in two group exhibitions. Data: BIG/-driven/Visualized, at Northern Illinois University Museum in Chicago is on view through May 17, 2019. User Agreement (at left), a pigment print on habotai silk, incorporates the text from all of the Google user agreements since this practice began in 1999. Art of the City: Postmodern to Post-Katrina, presented by The Helis Foundation, is on view at the Historic New Orleans Collection Seignouret-Brulatour Building, 520 Royal Street, from April 6, 2019 to October 6, 2019. The exhibition was curated by alumna Jan Gilbert (MFA, 1982). Aaron Collier: "Knowing in Part"
Aaron Collier, Assistant Professor in the Newcomb Art Department, is closing a month-long solo exhibition entitled Knowing in Part on March 28 at Furman University in Greenville, SC. As part of the closing reception from 6:00-7:30, he will be giving a Gallery Talk for the Furman and Greenville community. Elliot Doughtie (BA, Studio Art, Art History, '07) was named a 2018 recipient of the Joan Mitchell Foundation Painters & Sculptors Grants. 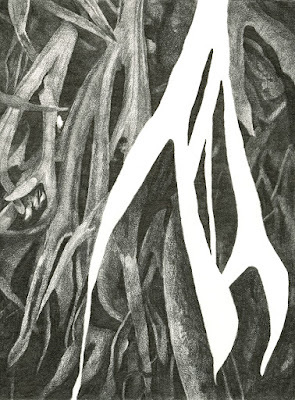 The Foundation currently awards $25,000 to twenty-five artists through a nomination process. Nominators from across the country are invited to recommend artists, at any stage in their career, who are currently under-recognized for their creative achievements, and whose practice would significantly benefit from the grant. 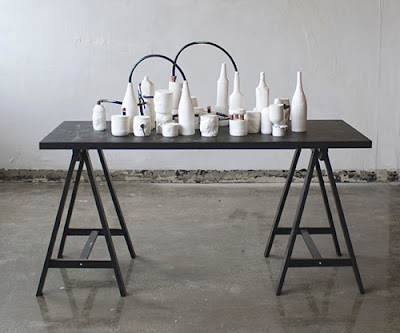 Elliot Doughite, Alchemy Set For A Future Body (Part 2), 2016, mixed media installation: plaster, paper clay, plastic tubing, ink, ink jet transfer, copper couplings, and found table, 48" x 60" x 30"
The San Antonio Museum of Art (SAMA) announced this week that it has hired Lucia Abramovich as its new Associate Curator of Latin American Art. Over her career, Ms. Abramovich has spent time working in various institutions, including the Smithsonian Institution’s National Museum of the American Indian, the Dumbarton Oaks Research Library and Collection of Harvard University, and the New Orleans Museum of Art, where she served as a curatorial fellow from 2013 to 2016. During this period, Ms. Abramovich worked with the institution’s collection of Spanish Colonial art and objects. She is expected to graduate in April of 2019 with a PhD from Tulane University, and will start her position at SAMA in June. Datum Drawing (February 4-March 8) is an exhibition that explores the use of datum in drawing as an architectural or spatial point of reference. A Datum Line is a line to which dimensions are referred on engineering drawings, and from which measurements are calculated. The term datum refers to a piece of information or fixed point of scale that serves as a reference in defining the geometry of a composition and in measuring aspects of that geometry to assess its relation to another value in space. Artists, architects, designers, engineers, cartographers and many others use datums to construct and define visual representation of space and place. This show brings together two artists and two architects who employ the use of datum lines in their work. 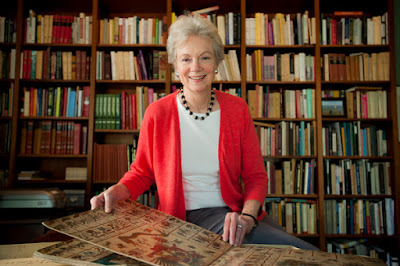 The College Art Association is honoring Elizabeth Hill Boone, Professor of History of Art and Martha and Donald Robertson Chair in Latin American Art at Tulane University, as the 2019 CAA Distinguished Scholar. 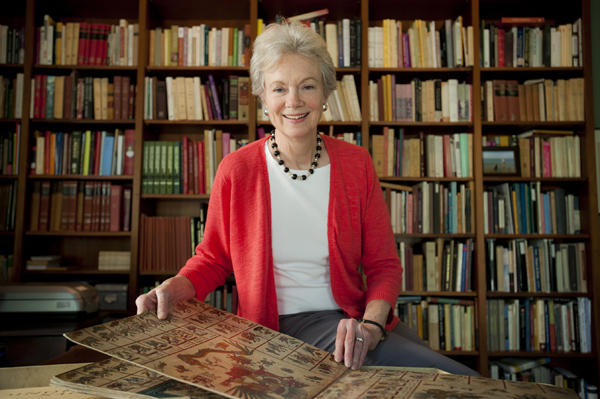 The Distinguished Scholar Session honoring Elizabeth Boone will take place Thursday, Febrary 14, 2019, from 4-5:30pm. 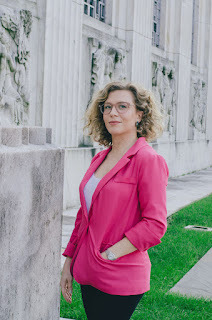 CAA media and content manager Joelle Te Paske corresponded with her recently to learn her thoughts on art history, scholarship, and challenges in the field. Read their interview here. 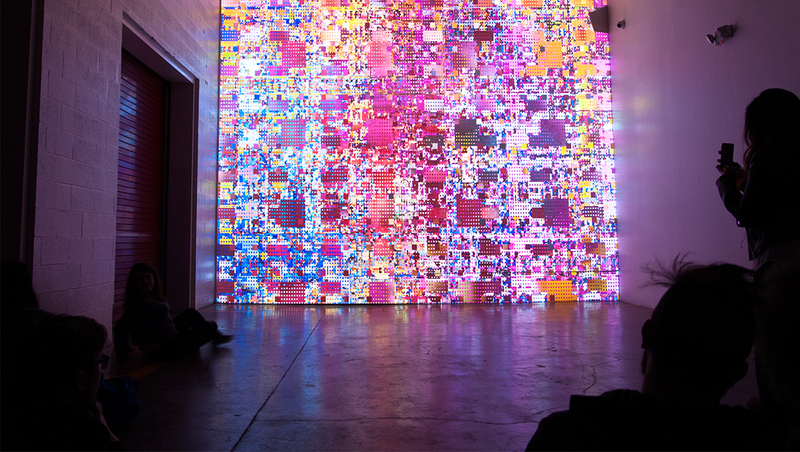 Reas’ software, prints, and installations have been featured in numerous solo and group exhibitions at museums and galleries in the United States, Europe, and Asia. His work ranges from small works on paper to urban-scale installations, and he balances solo work in the studio with collaborations with architects and musicians. Reas’ work is in a range of private and public collections, including the Centre Georges Pompidou and the San Francisco Museum of Modern Art. Reas is a professor at the University of California, Los Angeles. He holds a masters degree from the Massachusetts Institute of Technology in Media Arts and Sciences and a bachelor’s degree from the College of Design, Architecture, Art, and Planning at the University of Cincinnati. With Ben Fry, Reas initiated Processing in 2001; Processing is an open-source programming language and environment for the visual arts. The exhibition, if at all, is an installation including sculpture, photography, and video projection looking at aspects of place and memory. Much of the work references built structures that are in varying states of both dormancy and latency. These states frame the present by looking forward and backward in time. I search urban and rural conditions for these structures and in doing so collapse properties of both in the space of the gallery. My approach to installation is influenced by the cinematic experience as one that focuses visual and auditory stimuli within a mediated environment. I employ some of these cinematic conventions from a desire to obfuscate a sense of time and locale, opening upon the fictive and the potential unfolding of a narrative structure. Adam Crosson received his Master of Fine Arts in Sculpture and Extended Media from The University of Texas at Austin. Additionally, he holds a Bachelor of Architecture from the University of Arkansas' Fay Jones School of Architecture. In 2016/17, he was a Core Fellow at the Museum of Fine Arts Houston and has been awarded fellowships to study at the Royal College of Art, London, and to attend the Vermont Studio Center. In 2018 he received a Monroe Fellowship from the New Orleans Center for the Gulf South, a Committee on Research Grant from Tulane University, and a Scholarly Retreat at A Studio in The Woods through Tulane's Bywater Institute. Forthcoming solo exhibitions will be held at Antenna Gallery, New Orleans and the Carroll Gallery at Tulane University. In the fall of 2018 Crosson installed work at The Erwin-Schrödinger-Zentrum Science Branch Library in Berlin as part of Berlin Science Week’s Art Science Exhibits. He is currently Assistant Professor of Sculpture at Tulane University. Gallery closed on official Tulane holidays. Mia L. Bagneris and Mickalene Thomas speak at Mickalene Thomas: Waiting on a Prime-Time Star exhibition opening at Newcomb Art Museum. Wednesday, January 18, 2017. (photo: Josh Brasted)The Newcomb Art Department at Tulane University in New Orleans is accepting applications in Art History. The application deadline is February 1, 2019. Further information and application guidelines can be found here. The application process can be completed online here. The Master of Arts in Art History at the Newcomb Art Department of Tulane University allows students to work closely with dedicated faculty who specialize in a wide range of artistic practices and historical contexts – from Pre-Columbian to Contemporary Art. Students also benefit from affiliate faculty in Tulane’s Department of Classical Studies and the Stone Center for Latin American Studies, opportunities to study and conduct research abroad in the summer and from close links with Newcomb Art Department’s MFA program. The department is particularly strong in the study of the art of Latin America and of the early modern period, and students may draw on the rich interdisciplinary faculty and resources at Tulane in these areas. 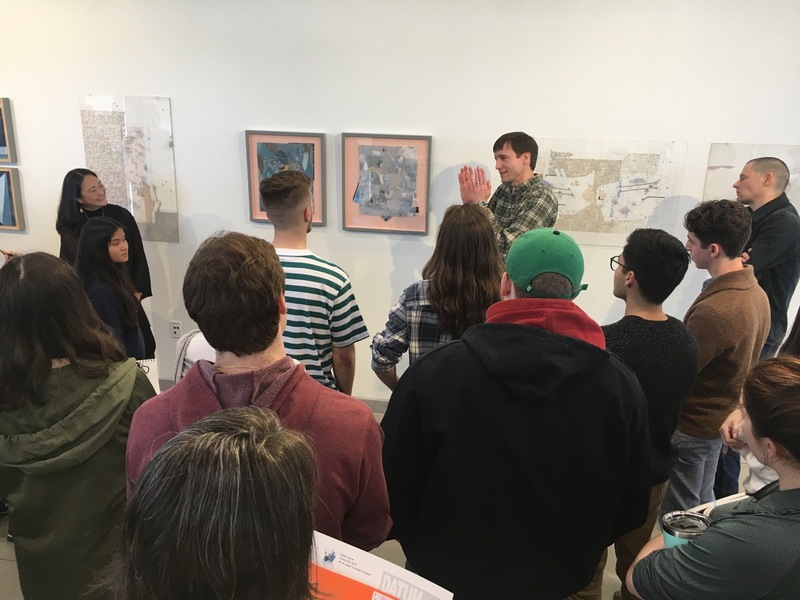 Each semester, the Department brings a number of visiting artists, scholars, curators and critics to campus for lectures and workshops, introducing students to artists and thinkers shaping the future of the discipline. Completed over two years, the Art History MA promotes critical inquiry and independent research via small, dynamic seminar courses, culminating in the writing of a thesis. Recent alumni of the MA in Art History have gone on to top PhD programs in the discipline, including those Columbia, Bard, CUNY, and to pursue careers in museums and galleries, as well as arts administration and arts education. All admitted MA students are offered tuition wavers and are typically fully funded via research and teaching fellowships (approximately $18,130 per year). In addition, the department offers research and travel funding to support students’ thesis research and participation in disciplinary conferences and workshops. Located in New Orleans, a vibrant and culturally rich city in the Gulf South, the Newcomb Art Department draws from a diverse and exciting range of artistic and cultural production. Local resources include The New Orleans Museum of Art, Prospect New Orleans, an international art Biennial, the newly established Joan Mitchell Center, The Contemporary Arts Center of New Orleans, The Ogden Museum of Southern Art, and Pelican Bomb, a leading arts criticism organization. Recent visiting art historians, curators, critics and artists include:Zarouhie Abdalian, Carol Armstrong, Tania Bruguera, Mel Chin, Darby English, Theaster Gates, Miranda Lash, Yukio Lippit, Maurie McInnis, Richard Meyer, Helen Molesworth, Jeffrey Moser, Alexander Nagel, Trevor Paglen, Joanne Pilsbury, Debora Silverman, Arlene Shechet, Jenni Sorkin, Mickalene Thomas, Hank Willis Thomas, Marvin Trachtenberg and Lisa Yuskavage.